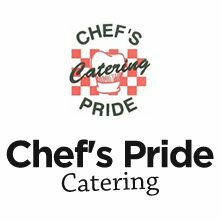 Chef’s Pride Catering is located in Traverse City, MI. We have been proudly serving Northern Michigan for over twenty five years. My team and I have catered over 700 Northern Michigan weddings; a perfect wedding day is our specialty! First and foremost, Chef’s Pride Catering is all about the food! Our menu offers over 600 of our own recipes, and I personally assist in the creation of every meal. Not only is our food wonderful, our events are memorable; my team is comprised of well-credited professionals that are always ready to serve you. Northern Michigan Catering is our business! Not only do we offer the ideal wedding, but we also cater to many other types of Michigan events. Chef’s Pride Catering will travel anywhere in Michigan. If you are interested in booking an event, please call today for date availability. Thank you for your interest in Chef’s Pride Catering. We hope to be a part of your special event!